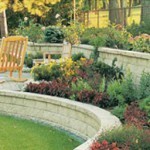 Beautify your outdoor living spaces with Pavestone paving stones from J&N Feed and Seed. Pavestone’s elegant collection of pavers, retaining walls, patio stones, and edging products transform landscapes into beautiful dreamscapes. 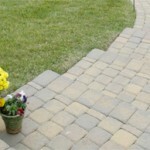 Their attractive and durable interlocking system makes it easy for the do-it-yourselfer for just about any backyard project. This could be your perfect backyard project. If you’re thinking about expanding your outdoor living area, building a retaining wall or updating your landscape beds, come see us at J&N Feed and Seed for original Pavestone pavers. 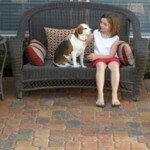 For more information installing stone pavers, click here. This entry was posted on Tuesday, March 5th, 2019 at 9:36 am	and is filed under News & Updates. You can follow any responses to this entry through the RSS 2.0 feed. Both comments and pings are currently closed.